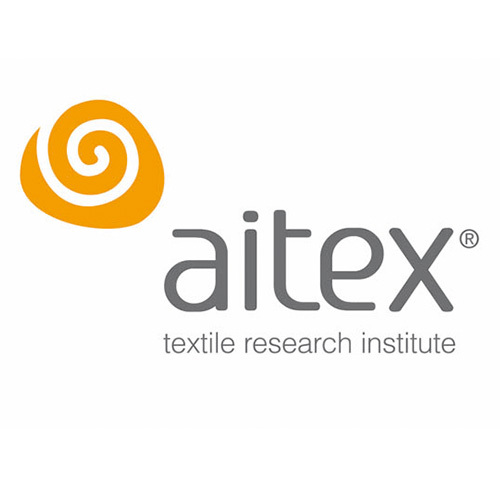 AITEX is a private non-profit association that encompasses textile and related companies. Some current figures are that AITEX has more than 1.000 associated companies, more than 3.000 clients, around 250 staff and 9 delegations around the world (North and South America, China, Pakistan, Lithuania and India). Its ultimate aim is to make this sector more competitive. To achieve this, the Institute promotes modernization and the introduction of new and emerging technologies and, in general, any initiatives that will contribute to the industrial progress of the sector. The work carried out by the Institute is closely linked to the sector’s industries, either through the advanced technical services offered by the Institute (consultancy, market, certification, quality control, training, etc. ), the confidential research projects developed at the request of different companies or the projects financed by public funding, in which case the results benefit the sector as a whole. The generation and dissemination of knowledge is the main AITEX aim, to increase the competitiveness of the companies, so they have new business opportunities. Consequently, the work carried out by the Institute is closely linked to the sector’s industries, either through the advanced technical services offered by the Institute, the confidential research projects developed at the request of different companies or the projects financed by public funding, in which case the results benefit the sector as a whole. Apart from theEuropean Technology Platform for the future of Textile-Clothing Platform, where AITEX is very active, AITEX places special emphasis on collaboration with the international R+D+I networks and platforms including , TEXTRANET, ÖKOTEX, GEDRT, EGOLF, European Defence Agency (EDA), KMM.VIN (European Virtual Institute on Knowledge-based Multifunctional Materials AISBL ) and AELAF. Recently (January 2015) AITEX has became member of EPSI (European platform for Sports Innovation) and BIC (Bio-based Consortium). Internationally, AITEX has established bilateral cooperation agreements on research with leading research centers. It also participates in national platforms (eg. PLATECMA, Technology Platform Manufacturing Sectors from its conception, as a promoter) and has the Technical Secretariat of INESPORT ( Spanish Technological Platform for Sport Industry).